Dr. Jerisa ER is a nationally recognized physician, author and media consultant. She has been quoted in several media outlets, both print and television. Currently, Dr. Jerisa ER is a subject matter expert on women’s health issues and appears during a monthly health segment on WPTV Ch. 5, the number one TV station based in West Palm Beach. Her segments are watched by more than 79,000 viewers. 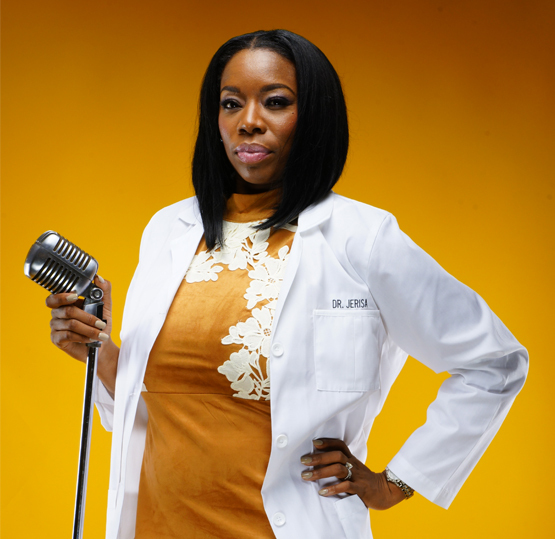 Dr. Jerisa believes in the power of media and medicine. Let her – help you – continue the dialogue about our nation’s health. If you would like to interview Dr. Jerisa for a news story, members of the media may contact our Hotline at 888-708-7576 or by e-mailing booking@DrJerisaER.com. Heart Disease in Women. Do They Present Differently? Inside Her Story: An App To Help With Women’s Fertility Issues?